Early in the 20th century, landowners in the Marburg district were heavily lobbying government for a railway to their town, to carry people, livestock, farm produce and coal to the larger centres. 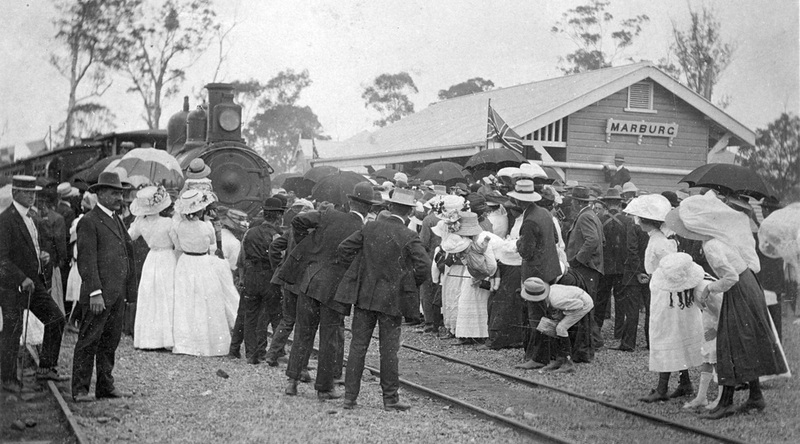 They were successful, and in 1910 construction started from Rosewood, which is 58km west of Brisbane on the mainline to Toowoomba. Suburban electric trains now terminate at Rosewood. The first train to Marburg, with much celebration. Photo: State Library Queensland. The steeply graded branch was opened to the terminus at Marburg, 14.5km to the north, in 1912. Over time, the main “passenger” on the railway became almost exclusively coal, and by the late 1960s and the retirement of steam locomotives, the demand for coal reduced drastically and the line begun to be closed in sections from 1965. In the 1974 floods, the bridge over the railway on the Rosewood-Marburg Rd collapsed, severing the railway in half. Part of the top half is used to today as the Rosewood Railway. 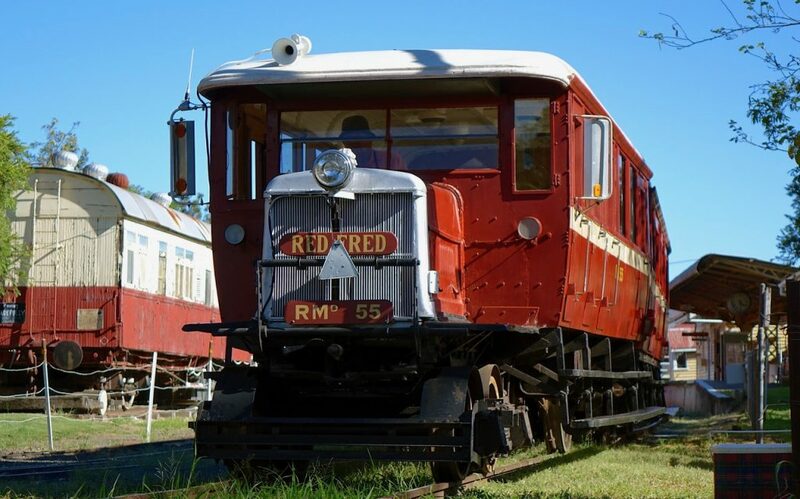 The ongoing vision is to create a memorable heritage tourist railway experience so visitors, volunteers and staff can experience an era of Queensland Railways “branch line” style operations of the 1950’s – 1960’s period that incorporates the late steam early diesel era by faithfully recreating operational practices, an organisational and technology settings that portray a railway and social culture of the period.